With the experience of nineteen bicycles in his baggage, Mr. Penn personalizes the globalized product. Robert Penn’s “It’s All About the Bike” is a charming book that has been playfully titled in opposition to the huge best-seller by a certain Tour de France winning Texan, that rather more serious book being not about the bike but about surviving cancer. Mr. Penn is no young racer but a lifelong cycling enthusiast who has ridden around the world, in 40 countries and five continents and one day he decided that the six bikes he currently owns are not enough. None of them was truly his bicycle. Like many people, I’m frustrated at the round of buying stuff that is designed to be replaced quickly. I want to break the loop with this bike. I’m going to ride it for thirty years or more and I want to savour the process of acquiring it. 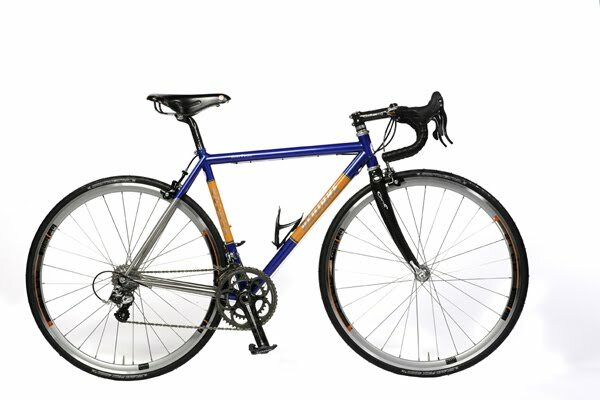 I want the best bike I can afford, and I want to grow old with it. I want craftsmanship, not technology; I want the bike to be man-made; I want a bike that has character, a bike that will never be last year’s model. I want a bike that shows my appreciation of the tradition, lore and beauty of bicycles. He writes of how even in the times of mass manufacturers there were small artisan shops where craftsman with names like Singer, Masi, Cooper, Herse and Galmozzi made a personal statement with their skills. To their successors he would turn for his new frame and to match it he would travel the world to find components that were not necessarily the lightest or sexiest but the best made. This book is about his journey to shops and factories in the United States, Italy, Germany and Britain, and not only does he takes us along as his bike is assembled but he also takes us through the history of the diamond-framed safety bicycle and the technology that makes the glorious ride possible. The tour begins at home in Britain. The framebuilder that Mr. Penn chooses is Brian Rourke and, unsurprisingly, the material of choice is steel and not just because “Fausto rode it.” Steel is very strong, long-lived, not prone to sudden failure and easily repairable and, in the case of the stainless steel Reynolds 953 tubing selected, aesthetically pleasing with straight, roundish forms. A timeless look, although the author goes with TIG welding rather than a lugged frame. He does point out that there has been a renaissance of lug-cutting in the United States, whereas it has mostly died out in Britain. The chapter not only covers his fitting for the Rourke frame, but touches on frame geometry, materials and the invention of the diamond frame, and ends with his being present at the welding. The core of the bicycle thus established, he flies to Portland to pick up a Chris King headset from the rather secretive factory, and makes a side trip to visit frambuilder Sacha White at Vanilla Bicycles, as well as an excursion into more bicycle history. Then it is off to Milan for Cinelli handlebars and a very entertaining visit to Columbus, makers of steel tubing (once 20,000 sets at a time, more like 20 now) for a carbon fork. An even more secretive factory–no tours, just an interview-- is to be found in Vicenza, Italy, where storied Campagnolo provides the drivetrain components for the new bicycle. A very laid-back and philosphical gentleman in Marin County builds the wheels, using Swiss spokes and rims with British hubs, and Mr. Penn is given industrial gloves to pull his very own Continental tires out of the oven in Korbach, Germany. And the antithesis of the secrecy at Campagnolo is to be found back in Britain, where Mr. Penn selects a saddle at Brooks, where many employees appear to have been around since the advent of the diamond frame. The saddle chosen, a B17, has been in production since 1896. In a world of mass production, there are few items where the customer so directs the final result. One thinks of Savile Row suits, or violins, or perhaps architecture. But the bicycle is an extension of ourselves, something we trust implicitly while going downhill at 80 km/h in the Alps, and a form that is so simple, so elegant that it takes real connoisseurship to detect the subtle differences. In the end, Mr. Penn probably paid less for his custom Rourke than for a top-end, ultra-light carbon pro racing wonderbike from Taiwan and has this book to recount its enviable history. My only quibble is that there is only one photo of the finished bicycle, the one on the cover. The bicycle saves my life every day. If you’ve ever experienced a moment of awe or freedom on a bicycle; if you’ve ever taken flight from sadness to the rhythm of two spinning wheels, or felt the resurgence of hope pedalling to the top of a hill with the dew of effort on your forehead; if you’ve ever wondered, swooping bird-like downhill on a bicycle, if the world was standing still; if you have ever, just once, sat on a bicycle with a singing heart and felt like an ordinary human touching the gods, then we share something fundamental. 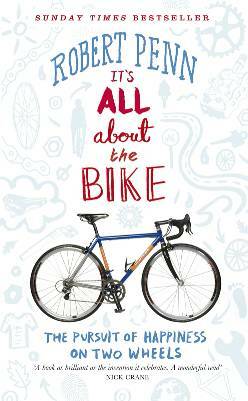 We know it’s all about the bike. It is a cliche of Christmas that a child runs downstairs to unwrap with the greatest delight his or her dream bicycle under the tree. How much better it would be if all dream bicycles could be like this one! Highly recommended. Currently available in the UK and Canada, this book will be released in the United States by Bloomsbury Press in April 2011.